Dumping Coal Is Easy. But Who Will Divest the Rest? As You Sow’s Coal initiative works with coal-fired electric utilities and coal-based energy companies to substantially reduce or eliminate the growing financial, environmental, and health risks associated with burning coal. It urges the most at-risk companies to address the wide array of financial risks associated with continued reliance on coal and to begin a transition to cleaner energy. The Clean Power Plan is long overdue. Cleaner, safer, energy solutions are emerging and utilities that adopt these low-cost clean energy solutions – rather than fighting to delay them – are likely to be the most profitable. By discouraging coal, the plan lowers risk for utility investors, and improves the power sector’s long term prospects. 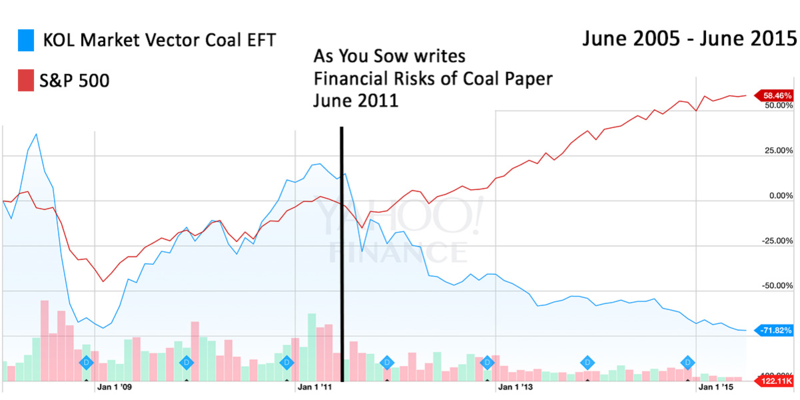 Coal use is also fraught with financial risk, a fact that markets have been aware of for years. In 2011, As You Sow published The Financial Risks of Investments in Coal, a key report that predicted the imminent collapse of the coal market. Similar risks face the utility industry as the environmental, public health, and regulatory risks of coal add up to potentially large future liabilities – financial risks that have not been adequately or transparently communicated to investors. By requiring that states reduce carbon pollution, the Clean Power Plan will help to protect investors from both the environmental and the financial risks of coal. Citing climate change impacts and financial risks of carbon-intense coal assets, shareholders representing billions of dollars of assets voted for carbon reduction targets at FirstEnergy and Great Plains Energy, showing strong support for a pair of shareholder proposals put forth by As You Sow and investment group Calvert Investments. The proposal at FirstEnergy received support from 19.4% of shares voted, representing $2.2 billion in investments. At Great Plains Energy, one in three shareholders (33.8%) voted for the proposal, representing $872 million in investments voting in favor of carbon reduction goals. In total, $3 billion in shareholder assets demanded climate action from the utilities. After successful dialogues with As You Sow, Atlanta-based Southern Company, one of the largest utilities in the US, has agreed to produce a comprehensive report on the company’s renewable energy projects and its future plans to integrate more renewable energy into its operations. As a result, a shareholder resolution filed by As You Sow has been withdrawn. Southern is one of the largest and most coal intensive utilities in the nation. Currently, less than 3% of Southern’s energy mix is from renewables. The company pledged to provide shareholders with information about the utilities’ existing renewable and distributed generation assets, and to describe new projects that will be brought online by 2015. The announcement follows a January 2014 agreement on carbon emissions reporting with Ohio-based utility FirstEnergy. With Southern coming to an agreement on a similar proposal, As You Sow is optimistic that other major coal-based utilities will accelerate their adoption of renewable and distributed energy. Both FirstEnergy and Southern received similar resolutions, with two different but related outcomes. While Southern agreed to provide transparency around its renewable energy projects, FirstEnergy agreed to provide a report on their carbon activities in relations to President Obama’s goal of an 80% reduction in carbon emissions by 2050. These are important first steps in providing shareholders with the information they need to assess whether these companies are transitioning successfully toward cleaner sources of energy, reducing risks associated with coal, and amending their business models to stay relevant. The inevitable trajectory of the electric utility industry is toward a healthy, low carbon fuel mix. 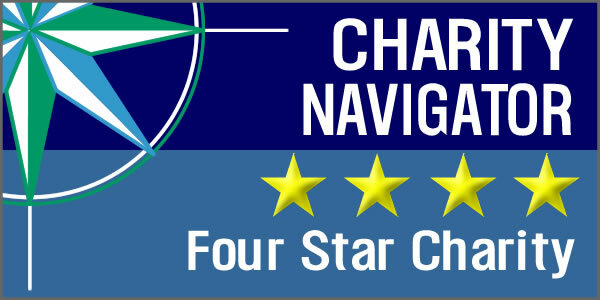 Disruptive changes in this sector are resulting from a number of factors, including the rapid adoption of distributed energy by consumers, increasing cost curves as clean air requirements go into effect, technology innovations, consumer demand for cleaner energy, and an increasing recognition of the reality and costs of climate change. These factors are forcing companies to rethink their business models. Some utilities are fighting this change, while others are finding ways to profit from the emerging low carbon economy as the cost of renewables continues to plummet, and companies are forced to absorb more of coal’s high societal costs. As You Sow’s Coal initiative focuses on mitigating the financial risks of reliance on coal. Through shareholder resolutions, we advocate for utilities to reduce the financial risks related a continued reliance on burning coal for electricity generation, from regulatory, commodity, and construction risks to the physical impacts of climate change, such as water scarcity. Exposing risk of coal to the investment community: Our report warning investors about the financial risks of coal was released in 2011. Within months, the coal market was plummeting. We have published two white papers outlining the financial risks facing coal-fired utilities and their investors. The 2012 Financial Risks of Investments in Coal, updates a white paper of the same name, and outlines five key risks. These papers are designed to empower investors to exercise enhanced diligence regarding their investments and to encourage coal utilities to proactively manage these risks to protect share value. In addition to climate change and other related financial risks, university endowments and other large institutional investors have also become aware that investments in fossil fuels may not be aligned with their organizational missions. A growing number are campaigning to divest from coal and other fossil fuels and to reinvest in clean energy and other industries that promote a sustainable future. As You Sow provides investors with resources on both. Coal in the United States is at a crisis point. Coal’s share of the U.S. electric power market is shrinking and coal assets are losing value. In 2011, coal accounted for 42% of this country’s electricity generation, down from 52% in 2000. Today, 60% of the U.S. coal fleet is at least 40 years old. These plants are less efficient than newer plants and require significant investments for maintenance and emissions reduction. A consensus among industry analysts finds that nearly a quarter of U.S. coal-burning generation could be retired in the very near future due to the cost of regulatory compliance and the inability for merchant utilities to recover rates. Replacement resources are likely to come from natural gas, solar, wind, and energy efficiency—not new coal. Costs of environmental compliance. Enforcement of existing environmental regulations and proposed new regulations over the useful life of coal plants will impose significant, unpredictable, individual, and cumulative capital and operating costs on these plants. Commodity risk from increasing price and price-volatility of coal coupled with competition from “unconventional” gas and alternative generation sources. The changing nature of domestic coal markets and the prospect of future increases in the price of coal makes its instability a novel part of the energy calculus in the United States. The price of natural gas makes it often more economical to dispatch gas—rather than coal—generated electricity. In some markets, wind is the benchmark, pushing coal further down in the dispatch order. Construction and cost-recovery. For new plants, construction costs have risen exponentially and utilities can no longer guarantee that these expenditures will be recovered via rates or electricity sales. For a full discussion of these risks, read As You Sow’s 2012 information sheet (PDF). The coal risks identified were based on findings published in As You Sow’s 2011 Financial Risks of Investments in Coal White Paper and the 2012 Update. As You Sow finds it essential for investors to know how companies perceive the risks related to coal and how companies plan to transition to cleaner energy sources to protect both their investments and the environment.